Staff Sgt. Joshua M. Mills, 24, died on Sept. 16, after his vehicle was struck by an improvised explosive device, while conducting a mounted patrol in the Afghan city of Ghur Ghuri, in support of combat operations while serving with, Company A, 3rd Battalion, 7th Special Forces Group (Airborne). He deployed in support of Operation Enduring Freedom August 2009 as a member of the Combined Joint Special Operations Task Force – Afghanistan. He was a Special Forces communications sergeant with his unit at Fort Bragg, N.C.
Mills, a native of El Paso, Texas, enlisted into the Army in 2005 as a Special Forces candidate. 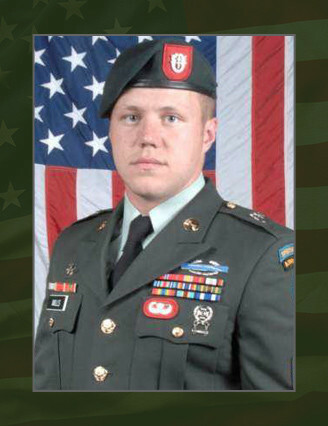 He attended the Special Forces Qualification Course in March of 2005 and earned the coveted “Green Beret.” He was then assigned to 3rd Bn., 7th SFG (A). Mills’ military education included Basic Airborne Course, Primary Leadership Development Course, Basic Non-Commissioned Officers Course, Air Movement Operations Course, the Special Forces Qualification Course, and the Special Forces Sniper Course. His awards and decorations include the Bronze Star Medal with Oak Leaf Cluster, Purple Heart Medal, Meritorious Service Medal, Good Conduct Medal, National Defense Service Medal, Afghanistan Campaign Medal, Global War on Terror Service Medal, Army Service Ribbon, NATO Medal and NCO Professional Development Ribbon. Mills is survived by his wife, Magen, and son, Malaki, of Raeford, N.C.; mother Celeste, and father Tommy, of El Paso, Texas.